Mr. Pravakar is responsible for business development, client interaction, operations management,resource planning & management and entrepreneurship in communication & IT services. He plays a significant role in the company’s growth and business expansion. He has over 10 years of experience in starting new businesses, opening new markets along with strategic planning and implementation primarily in the technology, IT industries and also in the education areas. 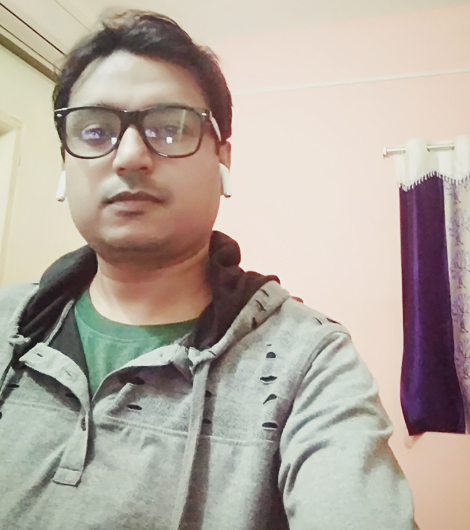 Prior to joining NEKSS, he worked in telecom software products at Nethawk Networks India Pvt.Ltd (NNIPL), EXFO as the principal software developer with the Telecom/Wireless technologies (3G, 4G [LTE], GSM, CDMA, WiMax, VoIP etc. He is an expert in software product integration processes and led business-critical activities at EXFO for different Analyzer products. Apart from IT or software topics, he is affluent in subjects like Power System Engineering and Electrical Machines of Electrical Engineering. 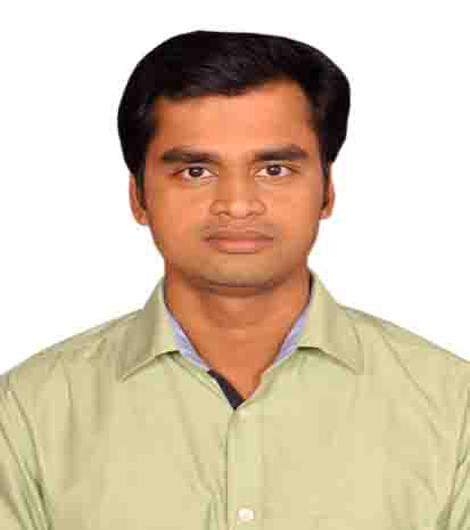 He completed his B.Tech (Electrical Engg) from College of Engineering and Technology, Bhubaneswar, Odisha. Key Areas: Development of software products and projects in Web and Mobile applications. Mr. Dipak involves in the Information Technology business unit of NEKSS. He is also responsible for supervision and project execution of all the projects and pilots related to the domain of IT at NEKSS. He plays a significant role in the company’s growth and by delivering the output of the projects in timeline. 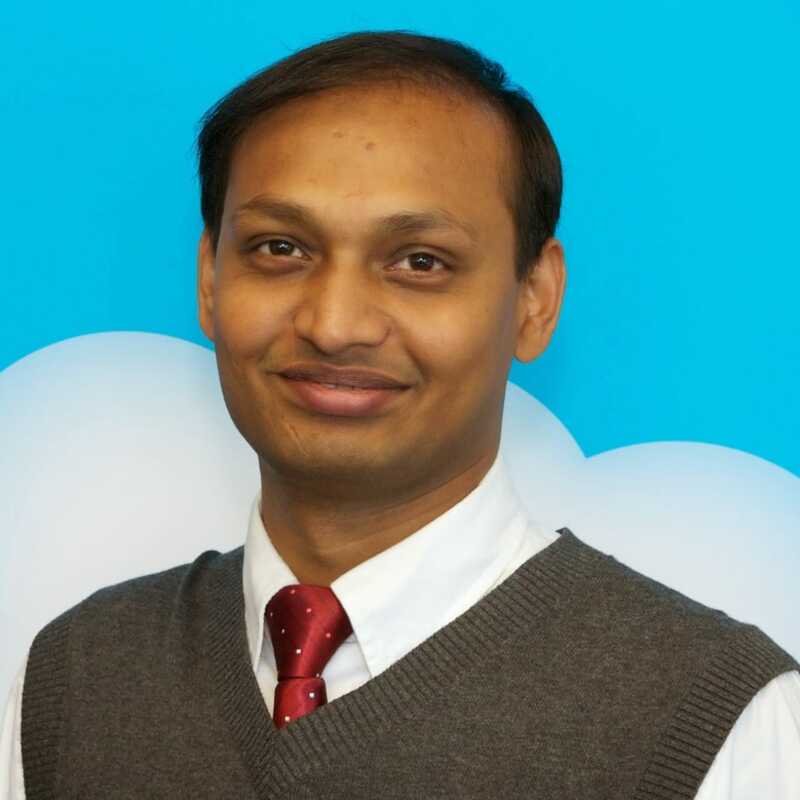 He has over 10 years of experience in IT industries and also in the education areas. Prior to joining NEKSS, he worked in telecom software products at Nethawk Networks India Pvt. Ltd (NNIPL). He completed his Master Degree in computer application (MCA). 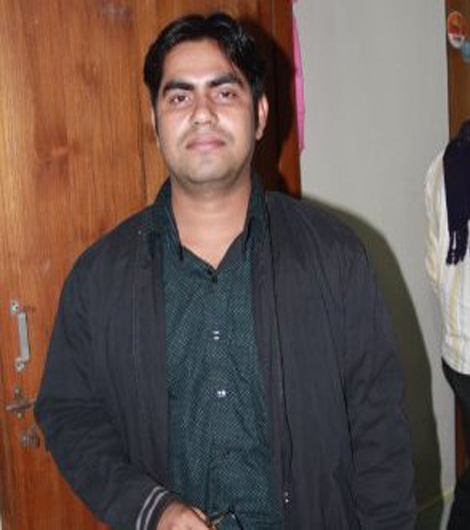 Akhtar is having more than 4 years’ experience in Web application development & design. He has worked with many Enterprise Applications, Website and e-Commerce sites. At NEKSS, he is playing an important role as a senior PHP Developer for the Project Execution and under his technology proficiency, he is guiding the Web team and supporting in Multiple assignments. Handled our important clients as per their depth level of requirements. WEB Server: - WAMP, XAMP, Tomcat. Ecommerce platform: - Magento 1.9. He has completed his MCA degree from a reputed organization. Debabrat has 12 years of experience in software development in ePOS System, Network Element Testing applications and Network Planning tools. He is an expert in a variety of platforms, languages like C++, C#, and .NET environment, database development, web API development and release Management. He has worked with companies like Nethak Oyj, CIENA Corporation, and ITIM UK. Mr. Mukteswar Patra (DIN: 07284805) is distinguished techno functional consultant who has proven ability to bridge technology and business goals to provide productive and efficient solutions. Good is never good enough for him, continuously demonstrating success leading and mentoring cross-functional teams in multi-facility environments in order to maximize levels of productivity. Experienced interfacing with key business units including ongoing development and research lab. Quick learner that rapidly adapts to emerging technologies. Prior to be a part of this consultancy firm, he was a seasoned professional * Program Director * served for IBM Global Services for continuous 11 years, had a global exposure serving all international leading client case like American Express Bank, Commonwealth Bank, AK Bank, Pfizer, CGI, Lombardi, Loblaw, Walmart etc. He has played a crucial role of Principal Architect in Bank Modernization program @ CBA. Multiple times bagged service Excellence Award with 2 International IT Patents on his contribution. He is a Finance Domain Expert where as a MF Technology transitioner. His forte towards business consulting, transitioning and vision to transform to a better world was always a success in his professional career so far and so stands as a pillar of NEKSS as Project Director and playing vital role as an interface to the Government/ Semi Government/ Private Clients. Though he is an Information Technology expert by Profession, but he is a Civil Engineer by excellent academic records. 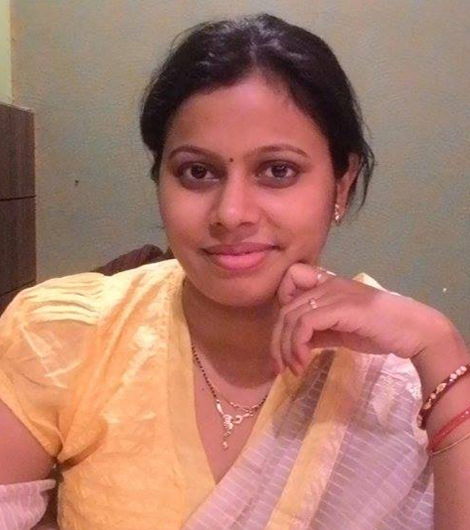 Sasmita is an analytical senior level developer with over 10 years’ of experience working on a variety of projects from conception to delivery. She is conversant in a wide range of technologies -most notably Java, Android and Big Data Hadoop. Her approach is methodical but creative, and she always look to code to the highest standards possible. She is a confident communicator and comfortable working either independently or as part of a team. Having more expertise in Mobile technologies and along with other Web Technologies. Worked with the Web services XML, JSON, RESTful & SOAP. She has completed her Master Degree in computer application (MCA) & Master Degree in Business Administration (MBA). She has completed DELF A2 (Diplôme d'Etude en Langue Française) in French Language from Alliance Française, FRANCE. Implemented Location Listener to show exact location on Google Maps. Used Poly-lines to draw path on Google Maps with accurate GPS location changes. Fixed bugs with code, design patterns and miscellaneous occurrences during projects. She has more than 4 years of Industry experience and worked for various projects according to the clients need. Having more expertise in Mobile technologies and along with other Web Technologies like PHP, Java, HTML, CSS, Bootstrap, My SQL, SQLite. Worked with the Web services XML, JSON, RESTful & SOAP. Worked for the reputed organizations like National Informatics Center, Bhubaneswar as Asst. Programmer-Software Application Support, VatechWabag Limited ,Chennai - Engineer, Projects. Used Polylines to draw path on Google Maps with accurate GPS location changes. 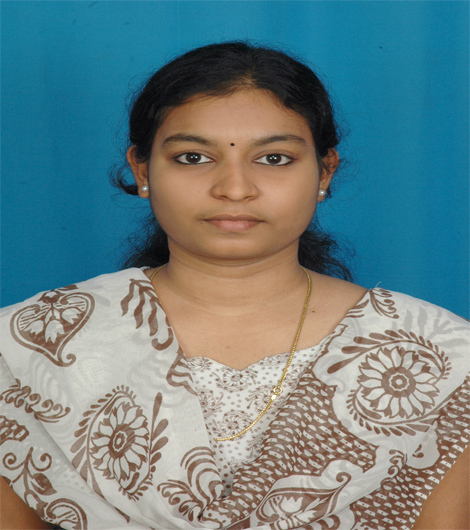 M. Dijitha Shrie has completed her B.Tech in E.C.E from the reputed Anna University. HIS STRENGTH AND ABILITIES : I. His ability is to adapt to new enviroment quickly , Strong Team Player , enthusiatic Learner and committed to the work based on the client recquirements . II. His ability to work under pressure and take the right decision at the right time and right place. III. His dedication , honesty , sioncere and responsibilty towards any assignment are his strength and his vision towards career objectives are the powers of his strength. 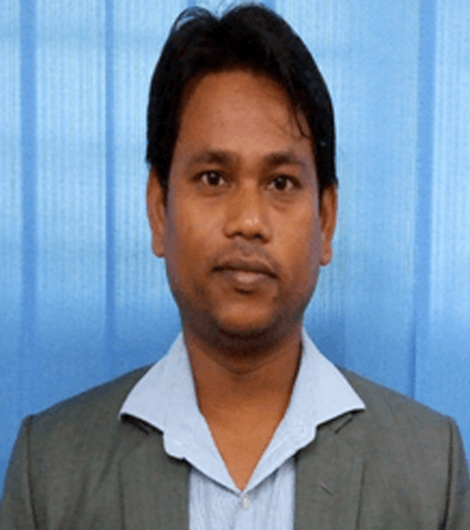 He Has Completed his B.Tech Degree in Computer Science & Engineering From B.C.E.T , Balasore Under BPUT University , Odisha. .
Mr. Rajesh is having more than 4 years’ experience in Search Engine Optimization (SEO), SMO, Web Applications Development & Design. He has worked with many Website and e-Commerce sites in different frameworks of PHP, Wordpressetcand also integrated the SEO Processes as per the requirements. At NEKSS, he is playing an important role as a “Technical Analyst”for the Project Execution and under his technology proficiency. Worked with international and domestic clients to find the solution of their requirements in SEO and Web. Languages:-PHP, HTML / HTML5, CSS and JS integrated to do SEO process for the websites. WEB Server: - WAMP, XAMP. Previously he has worked with the company - HCL Technologies, Chennai . He has completed his B.Tech – IT degree from BPUT. I. Her Ability is to make the client and the user happy by her works without overburderning them . II. Her Ability is to know when to yield and when to defend your ground. III. Her Ability is to communicate with the user through user interface conversations. Ramanuja is having 2 years of designing experience in Web and has also worked with different client requirements. He has better knowledge over Designing the web projects and screens of Mobile Applications as per the requirements . I. His ability is to adapt to new enviroment quickly , Strong Team Player , enthusiatic Learner and committed to the work based on the client recquirements . II. His ability to work under pressure and take the right decision at the right time and right place. III. His dedication , honesty , sincere and responsibilty towards any assignment are his strength and his vision towards career objectives are the powers of his strength. He Has Completed his B.Tech Degree in Electronics & Communication Engineering From Centurion University . 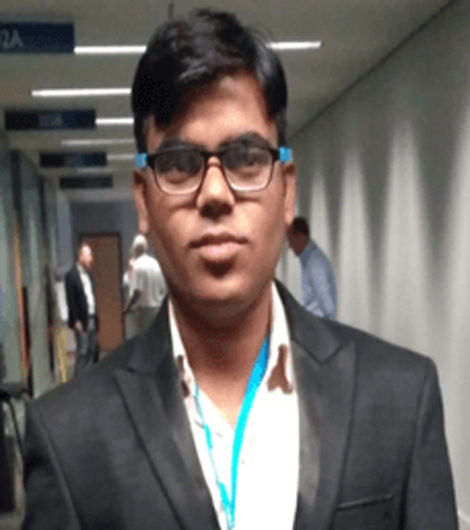 Rahul loves to work in a challenging environment and interested to learn new things by implementing into the real time requirements of the projects. i. Ability to adapt to new environment quickly, strong team player, enthusiastic learner and committed. ii. Ability to work under pressure and take good decision. iii. My dedication, honesty, sincere and responsibility towards my assignment are my strength and my vision towards career objectives are my powers of strength. He has completed his B.Tech degree in Computer Science and Engineering from BPUT University, Odisha. 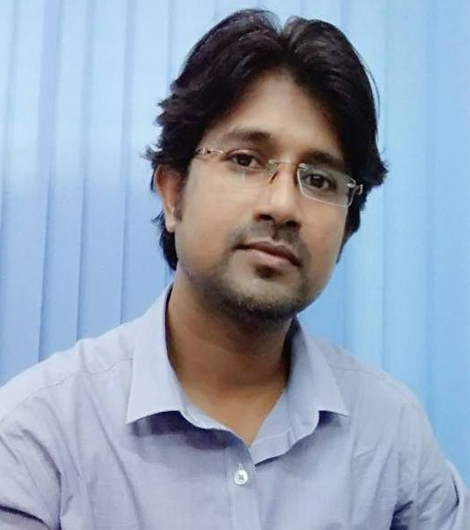 Mr. Banamali having 5+ years of experience in environmental fate modeling and Risk Assessment of plant protection product (PPP) and strong technical background in soil, surface water and groundwater modeling.Always looking for new and innovative ideas to bring to a project/research. Professional Snapshot: Project management, Managing clients and understand their needs. Project planning, Monitoring and Reporting Progress, Creating effective, informed and highly motivated teams focused on delivery, Archiving the information from different sources like FOCUS, OECD, REACH, EFSA, EPA, Ctgb, UBA, CRD, ANSES, CCPIA and conferences, Master sheet preparation, Degradation kinetics for soil and water sediment. Prediction/ Estimation/Calculation of pesticide exposure/fate using different models/tools, Preparation of position papers for different compartments like Soil, SW and GW, Preparation of dossiers for Environmental fate (B5) and Ecotox (B6) sections, Preparation of position papers and country addendum for country specific modeling, Recommendation/Suggestion of different blending techqunique to Clients for safe use of Plant Protection Products(PPPs) , Sharing the knowledge of Remote sensing (RS) and Geographic Information System (GIS) within the team as well as to Clients for Higher Tier approach, Rice modeling. Hands on experience : Environmental pesticide/fate modeling: EU Efate Models: STEPS 1&2, SWASH, PRZM, MACRO, TOXSWA, SWAN, PEARL, Geo-PEARL, Droplet, PELMO, Model Maker, KinGUI, CAKE, PERSAM, ESCAPE, Input Decision Scheme, EXPOSIT, EVA, UK-Drift, UK-Drain flow, etc. USA Efate Models: PFAM, RICEWQ, MED-Rice, FIRST, GENEC2, SWCC, EXPRESS, PRZM, EXAM, SCI-Grow, WhAEM, AQUATOX, SWMM, EFDC etc. Professional Experience: Manager (Environmental Fate Modeller and GIS) at Excelra Knowledge Solution Pvt. Ltd., Hyderabad, India (2015-Present), Scientific Associate (Environmental Fate Modeller) at GVK BIO Pvt. Ltd., Hyderabad, India (2013-2015). Educational Qualification: Master degree in Land and water resources engineering from Indian Institute of Technology (IIT), Kharagpur, India (2011-2013), B.Tech in Agricultural Engineering from Orissa University of Agriculture and Technology (OUAT), Odisha, India (2007-2011) . Dr. Nanda represents the executive management on the Board of Directors of NEKSS. She is responsible for implementing and sustaining business strategy and strategic initiatives at NEKSS, including achievement of the operational and financial results. Dr. Nanda has the overall responsibility for developing the company’s vision and strategic direction. She heads the Agriculture, Water Resources business units at NEKSS. She is also responsible for customer interaction, supervision, and project execution & monitoring for all the projects and pilots handled by NEKSS. She has a PhD in the domain of flood forecasting and M.Tech in the specialisation of Land and Water Resources Engineering from Indian Institute of Technology, Kharagpur. She has the vast expertise in the areas of Surface water modeling, groundwater modeling, GIS, Flood modeling, Flood forecasting, Natural Hazard Risk Assessment, River Basin Management, Soil Conservation, and Watershed management etc. 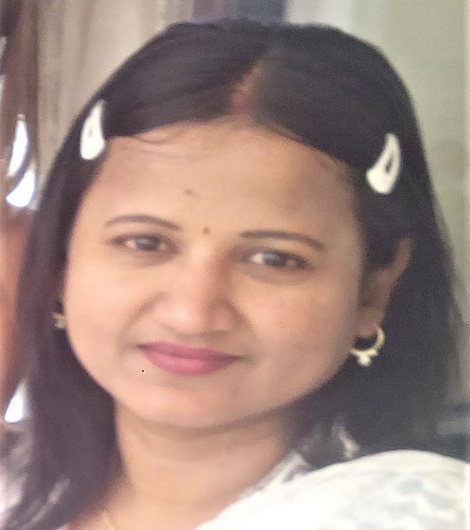 Mrs. Rajanagu involves in the Instrument calibration business unit at NEKSS. She is also responsible for business development, client interaction, operations management, resource planning & management. She has over 10 years of experience in the instrument calibration services. Currently she heads a proprietary organisation M/s. Matrix Calibration Laboratory Equipment and Services. It is NABL accredited laboratory and maintain quality standard of ISO/IEC 17025:2005 & are traceability to International / National accreditation in the field of Mechanical & Thermal parameter.
. She is an expert in In-House/on-site Calibration for wide variety of Pressure, Temperature, Electrical and Mechanical instruments. She provides training on calibration and also assisting in getting accreditation. She completed her B.E (Instrumentation & Control) from Dr. M.G.R. Engineering College, Madras University, Tamilnadu. 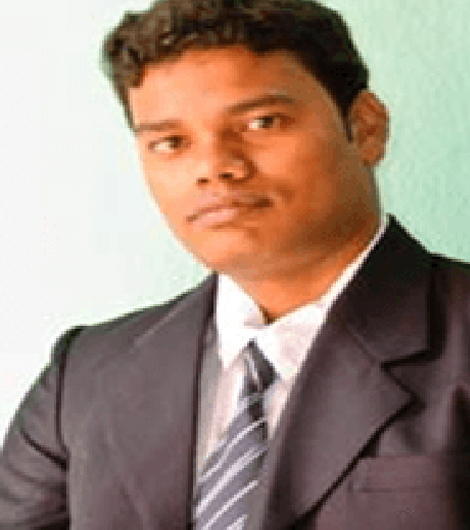 Mr. Abhijeet involves in the Computational modeling and Risk Assessment business unit at NEKSS. He is also responsible for supervision and project execution of all the projects and pilots related to the domain of hydrologic and hydraulic modeling at NEKSS. He plays a significant role in the company’s growth and business expansion. He completed M.Tech in the specialisation of Water Resources Engineering & Management from Indian Institute of Technology, Guwahati. He has the vast expertise in the areas of Surface water modeling, groundwater modeling, Flood modeling, River Basin Management, water flow sediment dynamics. Dr. Kumar involves in the Computational modeling and Risk Assessment business unit at NEKSS. He is also responsible for supervision and project execution of all the projects and pilots related to the domain of Water resources, disaster management and Climate change at NEKSS. He has more than 10 years experience in academic research and 2 years teaching experience with excellent knowledge of administrative work. He has the vast expertise in the areas of Rainfall-runoff modeling, climate change impact assessment and water resource variables forecasting, GIS, watershed management etc. He has profound knowledge on hydrological modeling softwares SWAT, MIKE SHE, HEC-HMS, BASINS and RS-GIS softwares ERDAS IMAGINE, Arc view, ArcGIS, Map-window. He has a PhD in the domain of climate change and its impact on catchment hydrology and M.Tech in the specialisation of Land and Water Resources Engineering from Indian Institute of Technology, Kharagpur. Moreover, his doctoral thesis was received Jawaharlal Nehru Award for outstanding research in agriculture and allied sciences for natural resources management. Mr. Dibyendu heads the GIS and remote sensing business unit at NEKSS. He is also responsible for supervision and project execution of all the projects and pilots related to the domain of GIS and RS at NEKSS. He has vast experience and expertise in Remote Sensing & GIS domain in the areas of Mining, Agriculture, Natural Resource Management (Watershed management plan, Forestry, Surface and Groundwater studies), Disaster management action plan (Landslide vulnerability assessment, Plain and coastal area flood risk assessment, Forest fire mapping, Earthquake risk assessment), data management & analysis, location based services and land information management. He has a very good work experience in handling GPS & DGPS in various sectors like Mining plan survey, Forest Survey and urban area plan survey and explores different remote sensing & GIS software tools to accomplish the work. 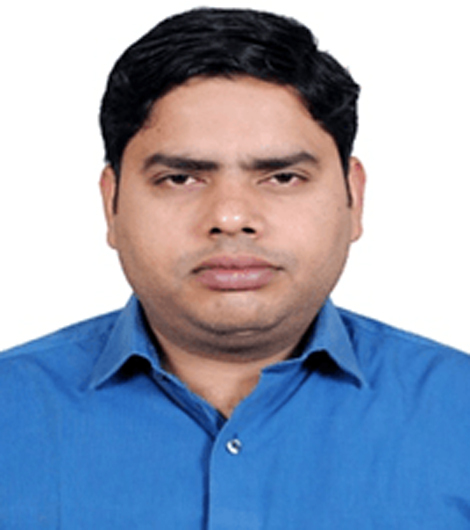 He holds his master degree in Geoinformatics from Birla Institute of Technology (BIT), Mesra, Jharkhand and also has done his PG Diploma in Remote Sensing and GIS from Utkal University at Bhubaneswar, Odisha. Mr. Satya is responsible for development of GIS and remote sensing based software platforms or applications with solutions for agriculture, water resource, natural hazard assessment, urban planning, environment, utility and e – governance. He has over 4 years of experience in Development, Testing, Analyst and Infrastructure with IT industries and also has 2 years of research and development experience with educational organizations. 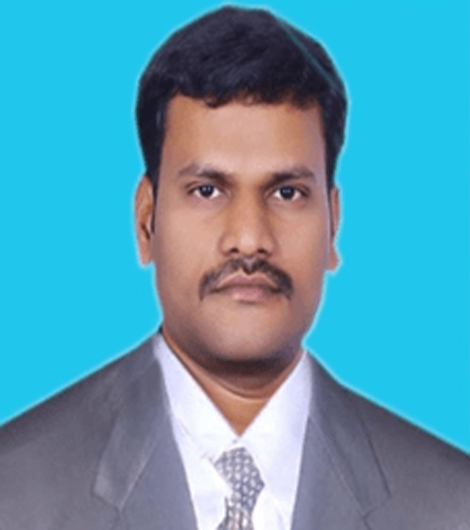 Prior to joining NEKSS, he worked with Alliance Prosys India Pvt Ltd as a System Administrator He holds a Masters in Computer Application degree from the Vinayaka Missions University at Salem, Tamil Nadu and has done his Bachelor of Science in Electronics from Acharya Nagarjuna University (ANU) at Guntur, Andhra Pradesh. Mr. Niranjan involves in the GIS business unit at NEKSS. He is also responsible for supervision and project execution of all the projects and pilots related to the domain of Agriculture, crop modeling, crop insurance and spectral analysis at NEKSS. He has work and research experience in understanding of agricultural systems (crop and soil), developing spectral library of natural resources, multivariate data analysis and data mining, research analysis, writing documents for publication, and programming ability in Matlab. He completed M.Tech in the specialisation of Agricultural systems and management from Indian Institute of technology, Kharagpur. He has the vast expertise in understanding of agricultural systems (crop and soil), developing spectral library of natural resources, multivariate data analysis and data mining, research analysis, writing documents for publication, and programming ability in Matlab. Mr. Sushi Mhaske is responsible for business development, client interaction, operations management in GIS, Petrol & IT services. He plays a significant role in the company’s growth and business expansion. His area of interest includes the utility of Remote Sensing and GIS in various fields such as Geology, Hydrology, Geomorphology, Soil erosion and conservation planning, Mine Reclamation, and Environmental management etc. He is also expanding his knowledge to investigate future applications of “Hyper-spectral remote sensing”for rocks and mineral detection. He has more than 4 years experience in academic research and 3 years industrial experience with excellent knowledge of administrative work. He has sound knowledge of RS-GIS and hands-on ArcGIS, ERDAS Imagine, and ENVI software. He is also an expertise in GPS survey in various fields. He received an M.Tech. (Geological Remote Sensing & Geoinformatics) from the Bharathidasan University, Trichy, M.Sc. (Geology) from Govt. Institute of Science, Aurangabad and Ph.D. from Dept. of Mining Engineering, IIT Kharagpur, India.